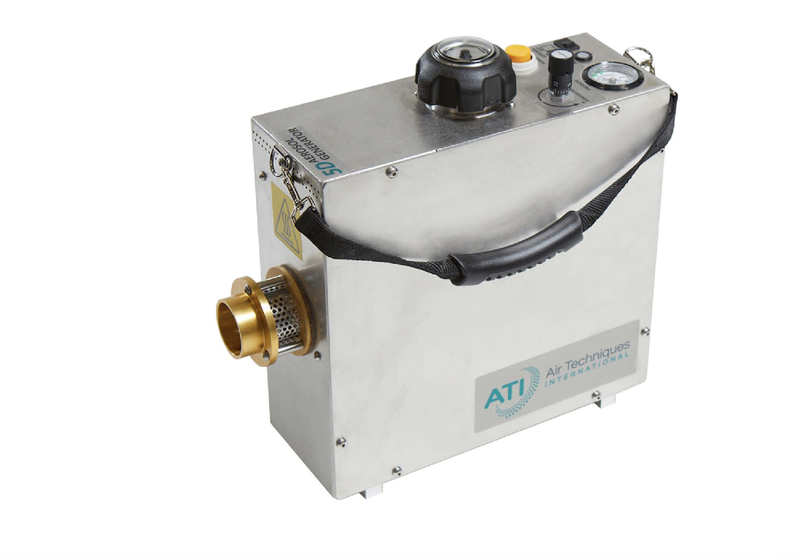 The 5D Thermal Aerosol Generator is designed for operators who require a wide range of aerosol output concentrations to perform leak tests on smaller clean air cabinets through cleanroom air handling systems. It is the high capacity solution used in demanding industries. Save time and money in the most demanding multi-filter cleanroom installations. In high-volume HEPA and ULPA air flow environments, the 5D can significantly reduce the time it takes to conduct filter leak test scans, generating aerosol concentrations that can challenge the largest Air Handling Unit (AHU) configurations. With 1- to 2-minute warmup and cool-down times, begin testing high-flow systems without waiting, and be ready to store and move the unit minutes after the job is complete. 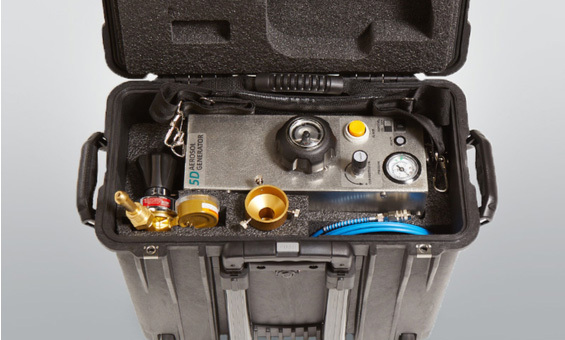 The 5D components are housed in a stainless-steel enclosure designed to withstand the rigors of portable filtration-system certification. Its lightweight, slim profile and supplied hand and shoulder straps make it an everyday, portable aerosol generator. Generating the widest aerosol concentration range available, the 5D accommodates both high- and low- flow environments, from cabinets*. to the most demanding cleanroom installations. And with flex-fuel capability, the 5D can use any reagent, including DOP (DEHP), PAO-4, DOS (DEHS), Ondina, or mineral oil. An innovative design minimizing system thermal requirements provides a faster, simpler, and safer alternative to other available solutions. The 5D is certified to comply with all applicable electrical and safety requirements, including CE and RoHS 2 standards. 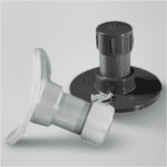 * Per NSF/ANSI 49, use 4B/4BL/6D laskin nozzle generators for biosafety cabinet testing. 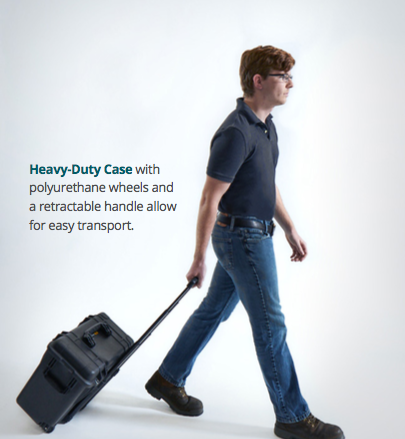 Heavy-Duty Transport Case combines 5D, carrying straps, hose adapter and inert gas regulator. Two single stage regulators are available to connect your 5D to an inert gas source – the CGA 320 for CO2 and the CGA 580 for N2, Ar or He. Provides an easy method to adapt hose sizes ranging from 2” (50.8 mm) to 1” (26.6 mm) ID to your equipment. 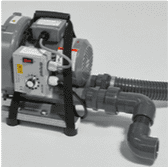 Used to inject the aerosol output of the 5D into a positive pressure duct or plenum. Easy and repeatable method to introduce aerosol into a duct. Used to distribute the challenge aerosol evenly and e ectively into a test system, including ducts.